When you're craving Pennsylvania Dutch food like a salty, hard pretzel dipped in mustard or a piece of ooey-gooey Shoo Fly pie, the Pennsylvania General Store has got you covered. Lancaster County and its surrounding area is home to the Pennsylvania Dutch community, an area with a rich heritage and unforgettable Dutch Foods. Hard pretzels and mustard go together like peanut butter and jelly. Indulge in a bag (or two) of Lancaster County favorites like Hammond's or Uncle Jerry's. 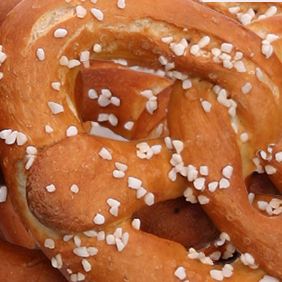 Since 1931, Hammond's hand-rolled, hard pretzels have been made from a family recipe that dates back to the 1800s. Uncle Jerry's hard pretzel recipe also has a 100 year history and to this day still contains no sweeteners, no oil, and no shortening. Dip your hard pretzels with a flavorful mustard. From Betsy Lantz's to Endless Mountain Horseradish Mustard, there's a mustard for all tastes. Try your own hand at pretzel making with Aunt Annie's Pretzel Mix — it's also a great gift basket item! Pretzels are ideal to satisfy a salty craving. However, iconic Pennsylvania Dutch foods like Stickies and Shoe Fly pie are what's needed when you desire something sweet. Treat yourself or someone special to Ye Olde Diner Stickei Buns — no baking required. Grill 'em with a bit of butter for an indulgent Saturday morning breakfast or serve warmed and topped with ice cream for a decadent dessert that's total comfort food. 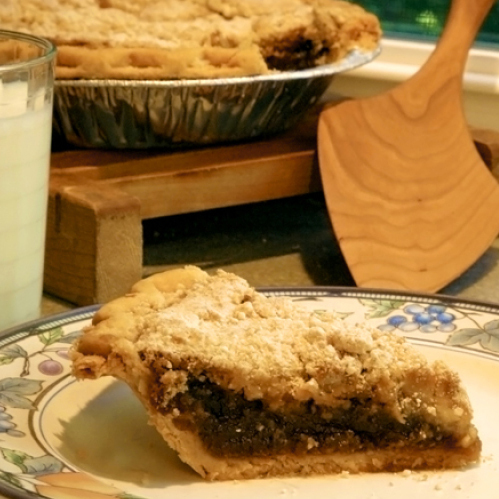 When it's your turn to bring dessert to the next get-together, don't forget the Shoe Fly pie. Made in Lancaster, this Shoe Fly pie with its crumbly brown sugar top and gooey molasses bottom really hits the sweet spot. Serve it gently warmed with homemade whipped cream or a scoop of vanilla ice cream to complement the sweetness. 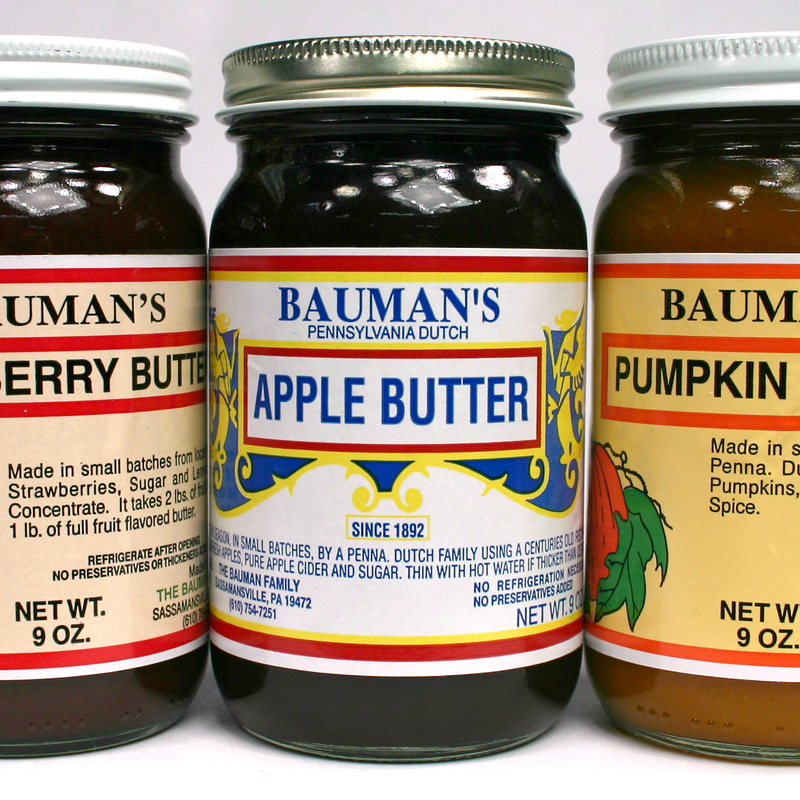 Stock your pantry today with all the best from Pennsylvania Dutch country. 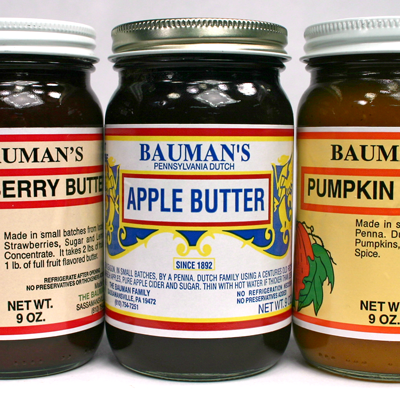 From Bauman's butters (Strawberry, Apple, and Pumpkin) to Wos Wit spiced peaches or bacon dressing, these Dutch Foods are so good they'll become pantry staples. 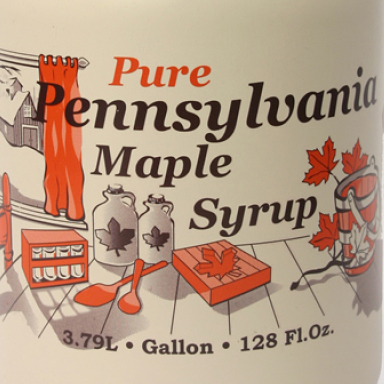 Bring back Pennsylvania childhood memories with a jar of Mustard Chow Chow or jug of Ed Emerick's rich maple syrup. Don't forget the Cope's Dried Sweet Corn Pouch, a Thanksgiving must-have. Let the Pennsylvania General Store be your first stop for your favorite Pennsylvania Dutch Food. All items are real Pennsylvania-made.